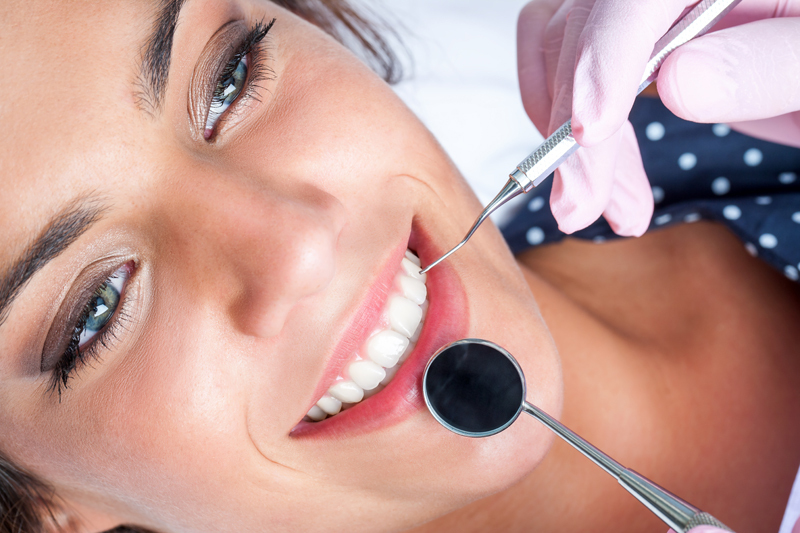 Check-ups and Cleanings - Scarborough, Richmond Hill, Committed To Granting You Beautiful Smiles! Even with great oral hygiene at home, plaque and tartar cumulate on our teeth over time. These cannot be seen with the naked eye, which is why it is recommended to visit your dentist at least once every six months to help you clean these out. Poor oral hygiene not only affects our teeth negatively, it may also cause gum disease, infections, bone loss, heart disease, stroke and more. Our oral health is connected with our bodies’ overall health and these check-ups and Cleanings will help you maintain a beautiful smile. Taking care of your daily brushing and flossing along with your regular dental check-ups and hygiene sessions will help you avoid any minor, or even major dental problems. However, in case of dental problem occurrence, we will help you detect it at an early stage and treat it accordingly.